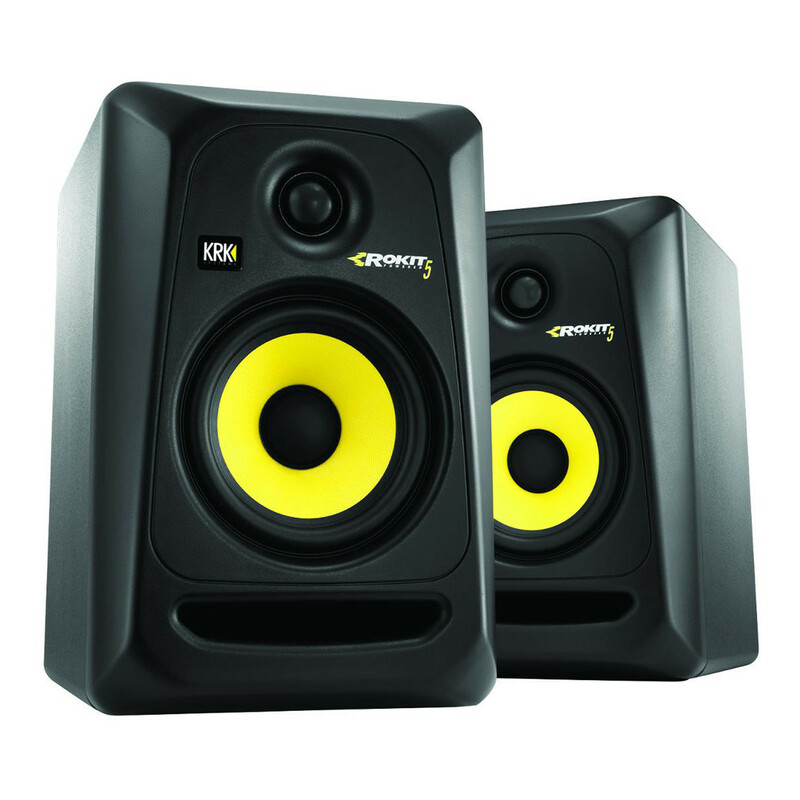 The KRK Rokit RP5 G3 are a pair of professional studio monitors ideal for mixing, producing, and mastering. Designed for music producers and sound engineers, the KRK Rokit RP5 monitors deliver transparent and accurate audio. The RP5 monitors feature a 1'' soft dome tweeter that delivers clean, smooth high frequencies, whilst the 5'' glass-aramid composite woofer delivers pumping, deep bass. The Rokit RP5 G3 monitors are bi-amplified and feature Class A/B amplification offering large headroom and low distortion for optimal performance. They also feature fine tune controls on the back, allowing you to adjust the low and high frequency response, as well as a master control for added convenience. Additionally, these monitors also come with a pair of monitor stands, which are ideal for setting up your speakers for ear level. The bi-amplified design and wide frequency range ensures a powerful performance, allowing you to hear every nuance of the original sound as it was intended; paramount for mixing and mastering purposes. The 1'' soft dome tweeter and 5'' glass-Aramid composite woofer delivers exceptional vocal clarity and an extended bass response for added depth. The Rokit's waveguide is designed to ensure optimal stereo imaging in the listening positioning, allowing you to hear where your sounds should be sitting in relation to your mix. The front-firing bass port reduces any boundary coupling you may encounter for versatile positioning in the room. The engineered surface of the RP5 G3 minimises diffraction distortion for increase audio fidelity. Suitable for almost any studio space, the low and high frequency adjustment gives you unprecedented voicing control for optimal room acoustics and mix translation. Multiple inputs allow the RP5 G3 to integrate with your existing system configuration. The sleek and stylish design of the Rokit RP5 G3 will suit any studio setting with its clean and polished aesthetic complimenting any existing setup. The speaker enclosure minimises resonance for reduced distortion and colorisation. The radiused edges of the speaker also reduce distortion from diffraction, all improving overall audio quality and performance. The rear of the monitor features LF and HF controls designed for tailoring to different spaces and rooms for optimal performance in any environment. Also, the monitor utilises a factory installed foam pad to provide isolation between the speaker and surface. 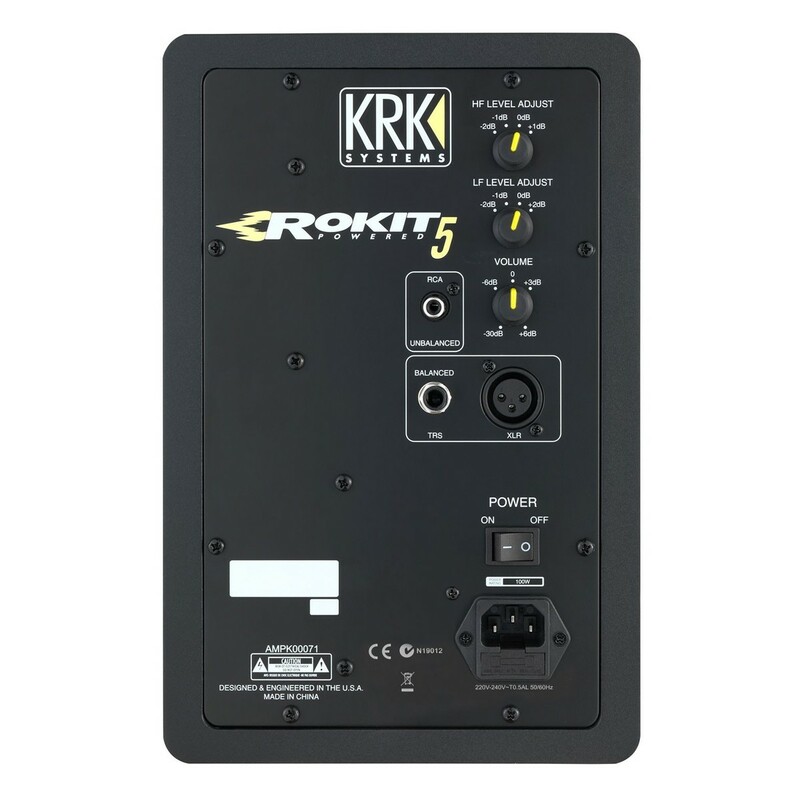 Additionally the Rokit RP5 G3 features a range of audio input connectors including: XLR, 1/4'' and RCA. 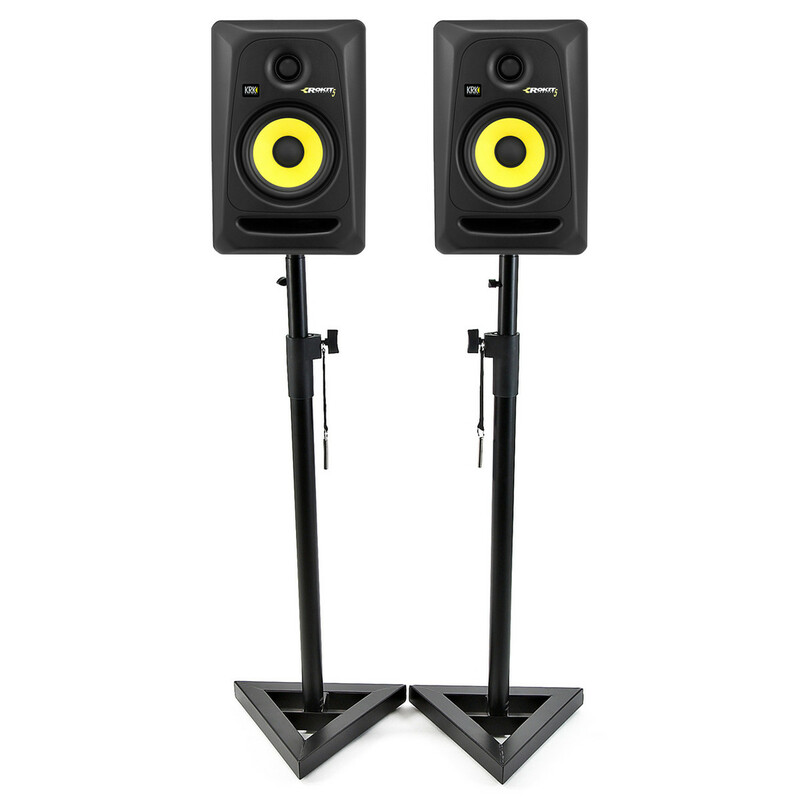 These Isolated Studio Monitor and Surround Sound Speaker Stands by Gear4music are firm and durable support stands for correctly positioning speakers and monitors. 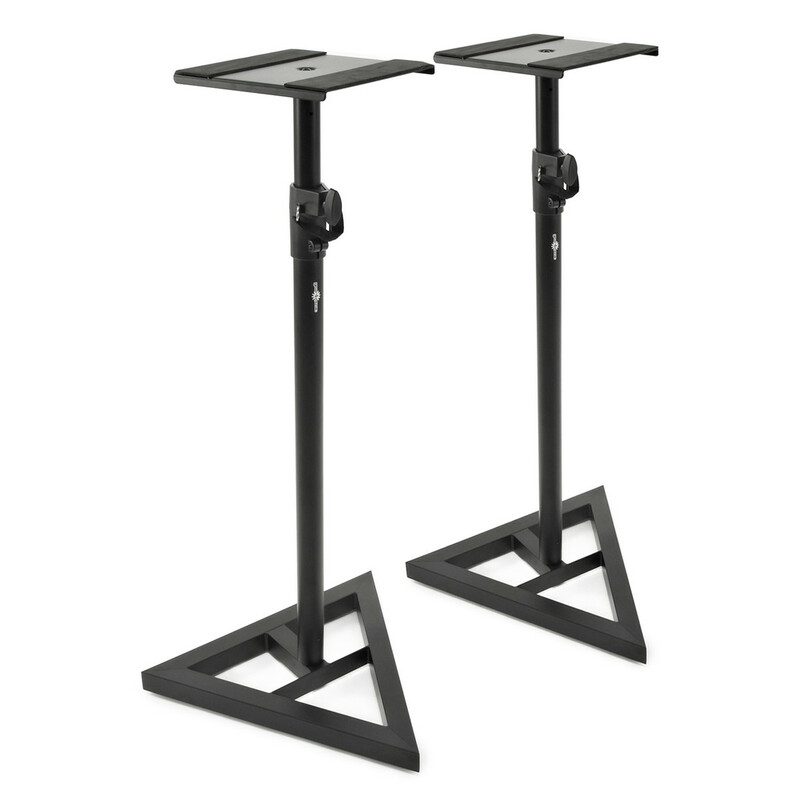 The stands have a triangular base to offer stability along with rubber pads to stop any slippages. They are sleekly coated in a matte black finish. These speaker stands have telescopic columns for easy height adjustment so you can position your speakers at exactly the level you need. PLEASE NOTE: monitor stands may vary from those pictured.